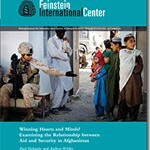 This paper by Paul Fishstein and Andrew Wilder presents findings from research conducted by FIC in five provinces of Afghanistan between July 2008 and January 2010 on the relationship between aid projects and security. The paper highlights the challenges inherent in using aid as an instrument of security policy. While in some areas aid projects may have had some short-term positive security effects at a tactical level (e.g., intelligence gathering and limited force protection benefits for international forces), and may have helped to facilitate creating relationships by providing a “platform” or context to legitimize interaction between international and local actors, there was little concrete evidence in any of the five provinces that aid projects were having more strategic level stabilization or security benefits such as winning populations away from insurgents, legitimizing the government, or reducing levels of violent conflict. While there were regional differences in the causes of insecurity, because conflict was most strongly linked with governance and political issues in the more insecure areas, aid that focused instead on economic issues was ineffective in promoting security. The consistently negative perceptions of aid projects – especially with regard to insufficiency, corruption, and injustice in the distribution of benefits – were linked in part to the pressure to spend too much money too quickly, which encouraged the development of a de-stabilizing war-aid economy reinforced by perverse incentives. One consequence was that rather than building support for the government, the government and the international community were de-legitimized, which provided an opportunity for the Taliban. Communities did provide positive views on the community-focused National Solidarity Program, some significant and highly visible infrastructure projects, and long-serving aid agencies that had established enduring relationships with communities. The findings have implications for the effectiveness of aid as a stabilization tool, suggesting the need to understand the complex, intertwined, and overlapping drivers of conflict, especially political and governance-related ones; to create incentives that value quality over quantity, and thereby reduce the counterproductive pressure to spend too much money too fast; to reverse current policy and instead focus on areas where investment can yield better results than in insecure ones; to reinforce a culture of evaluation and accountability; and, to value development as a worthwhile end in and of itself. Many of the study’s findings, which were documented in the previously published case studies, have been acknowledged by the U.S. and its NATO allies, but many of the institutional incentives for why aid funds are spent in ways that can be ineffective or destabilizing remain unchanged. The Afghanistan study is part of a larger comparative study in Afghanistan, Pakistan, and the Horn of Africa of the effectiveness of development assistance in promoting stabilization objectives. The research has been generously supported by the Afghanistan Research and Evaluation Unit, and the governments of Australia, Norway and Sweden.